Home > How can you measure the value of a webpage? > How is Moz Domain Authority different from Majestic Citation Flow? 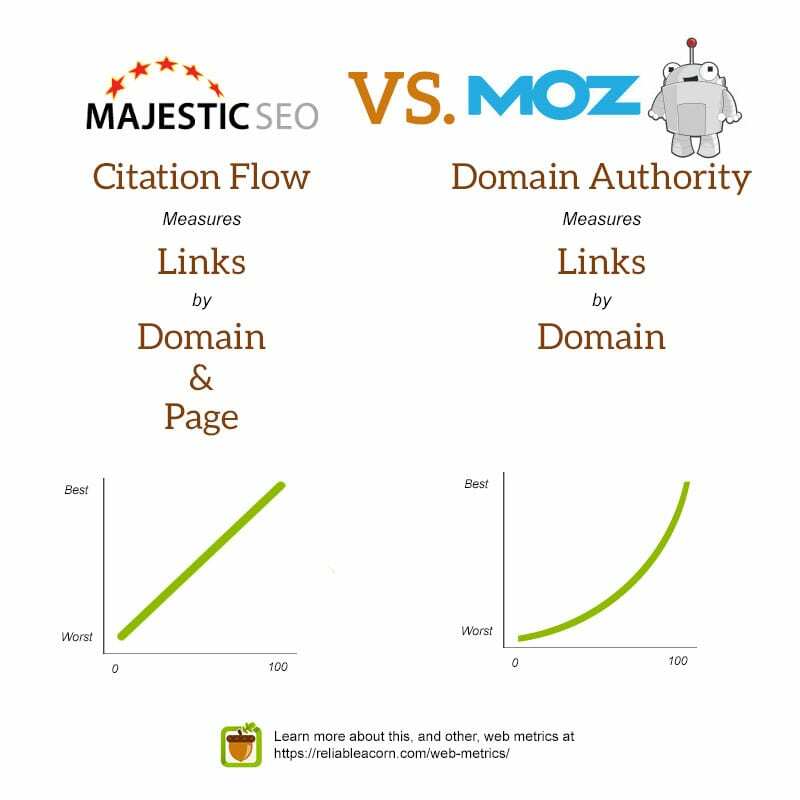 How is Moz Domain Authority different from Majestic Citation Flow? Moz Domain Authority is Moz’s attempt to score how well a domain or sub-domain will rank, where Majestic Citation Flow is a score which predicts how influential a URL might be based on how many sites link to it. Citation Flow can be calculated page wise as well as domain wise. Domain Authority can be calculated only by domain. Additionally, while Citation Flow is linear, Domain Authority is exponential.